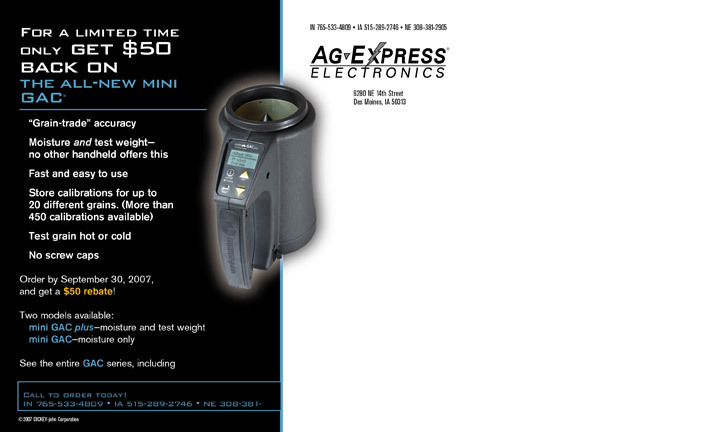 In 2007, DICKEY-john was poised to introduce the mini GAC®, a handheld moisture tester that was far superior to any comparable product on the market. It did, however, carry a premium price. The integrated campaign that would launch this product followed a two-year branding effort that had reinvigorated and strengthened the overall DICKEY-john brand. 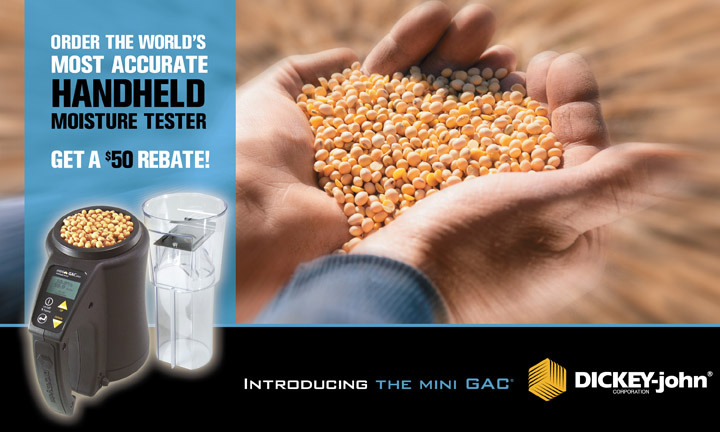 Create immediate demand and sales for the mini GAC. A strong advertising effort aimed at large-acreage farmers throughout North America. A media relations effort with the major trade publications. This effort resulted in significant editorial coverage about the new product. The development of a targeted direct mail piece to be sent out to 1,000-plus acre farmers. Wheat farmers were targeted in April, while the mailing to corn and soybean farmers was sent in July. Both mailings included $50 rebate offers. A complementary mailing piece was produced for participating distributors. These distributors then mailed the pieces to their customers. 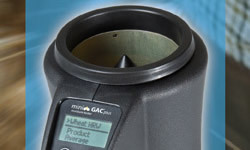 After the initial product launch, a video on the mini GAC was produced for use on the web site. The success of the campaign can be measured by the sales results, which doubled the sales forecast. In fact, the manufacturing plant needed to add a shift to keep up with production. 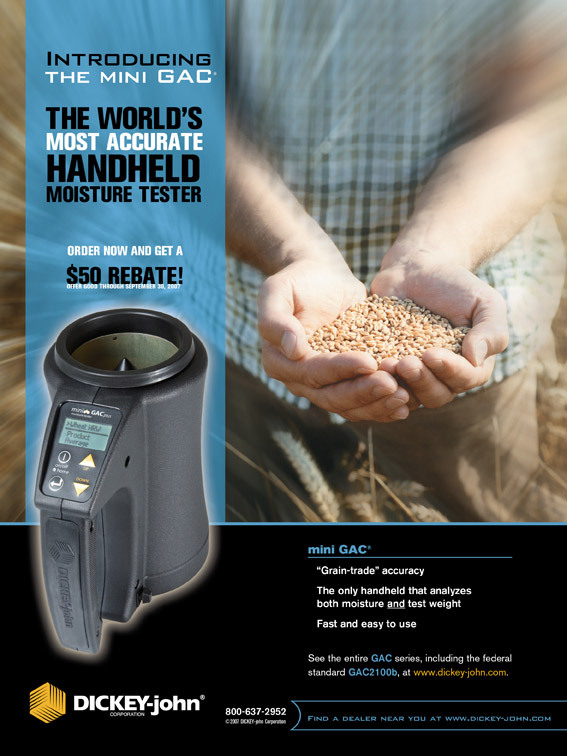 Introduce DICKEY-john's premium-priced mini GAC moisture tester. Jones and Thomas targeted large-acreage farmers through advertising, direct mail, and a $50 rebate offer. A mini GAC video was developed for the web after the product launch. DICKEY-john sold twice as many mini GACs as expected.